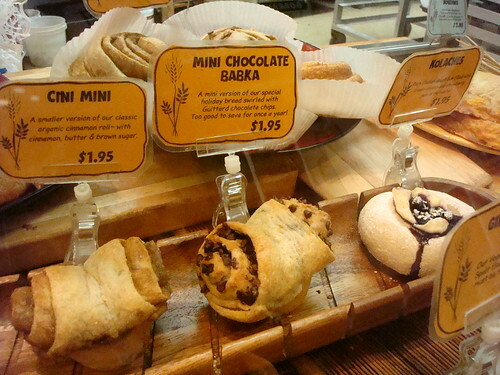 The other day while wandering around Ballard, I happened to walk into Great Harvest Bread and in doing so, unwittingly submitted to my destiny: The Mini Chocolate Babka. Baked in a muffin tin, this two-pronged treat is a mini monstrosity, so ugly it's sort of cute. Because of its small size, the chocolate-to-pastry ratio is upped dramatically, making it amazingly buttery and rich; in spite of said richness, it's amazingly how quickly and easily it manages to get in your belly. As the sign in the shop said, this mini version of a classic holiday bread is "too good to save for once a year"--and I tend to agree. Even if it is the devil in disguise. Mini Chocolate Babka (call for availability!) from Great Harvest Bread Company, 2218 NW Market Street, Seattle, (206) 706-3434; online at greatharvestsea.com. Not in Seattle? No need to panic. 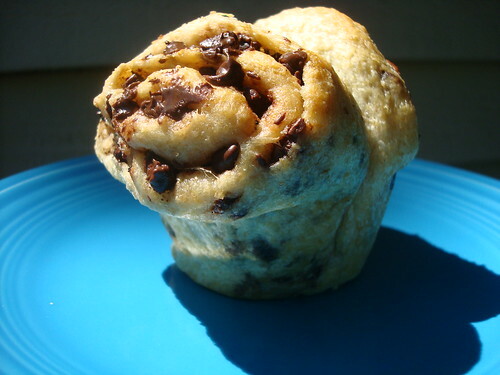 This recipe for chocolate babka sounds like just about the most delicious thing ever, and I bet it could be divided into muffin cups for mini portions.